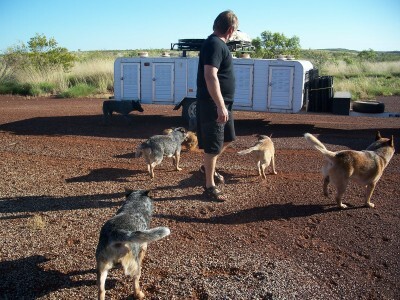 People can't believe us when we say that we can let the dogs run together when we travel. 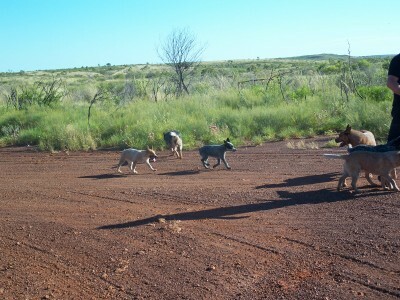 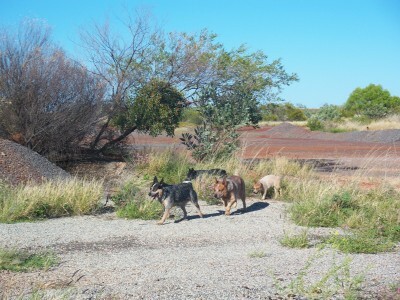 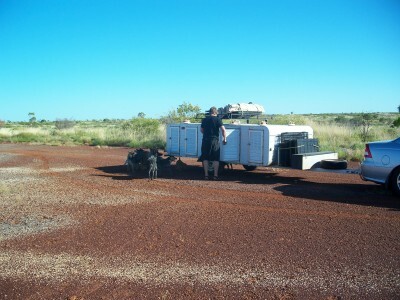 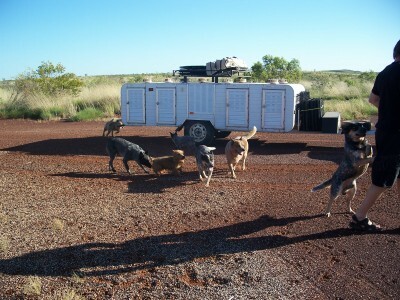 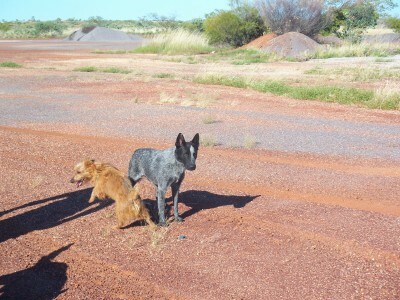 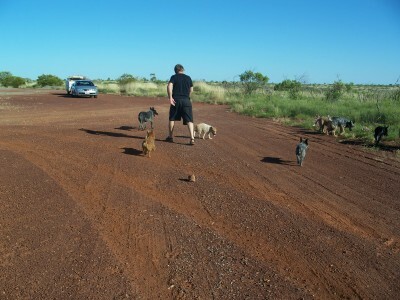 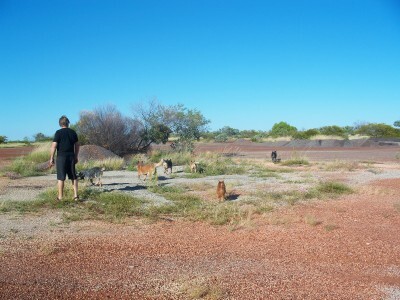 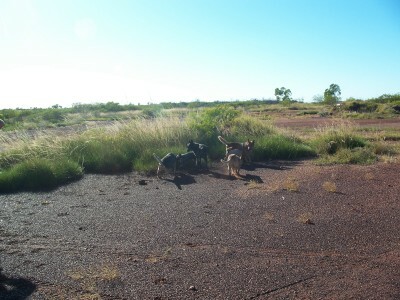 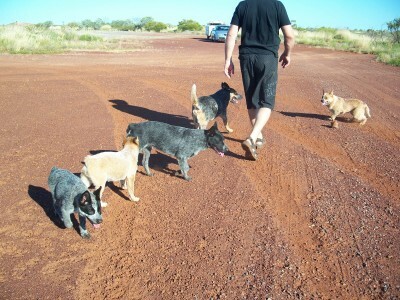 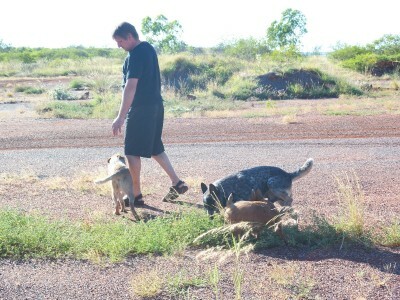 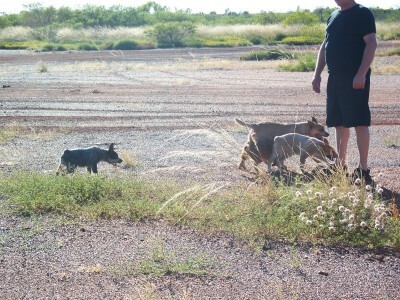 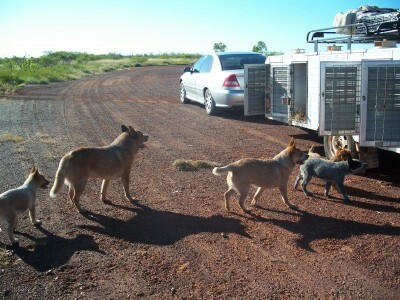 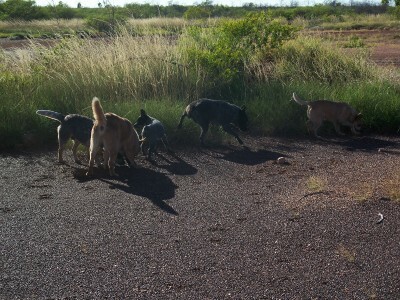 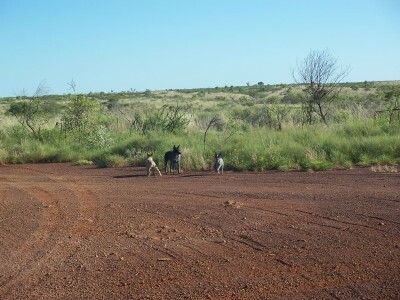 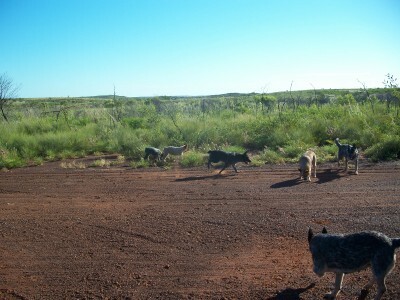 We stop at a nice spot on the roadside and let all of the dogs out together with no leads on. 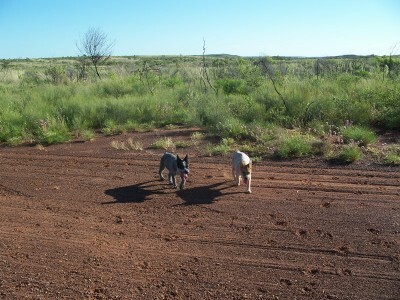 They will not run away or fight with each other. 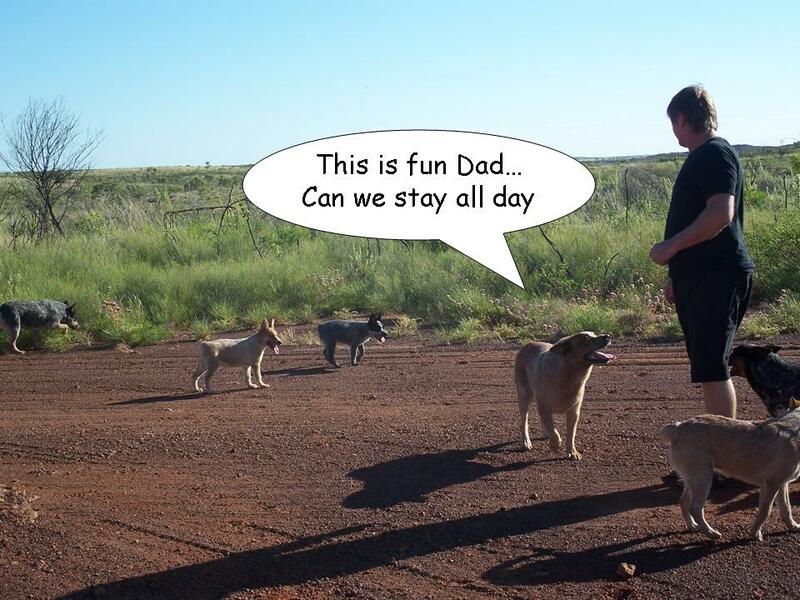 All of our friends say that if they did this with their dogs they would run away and never come back. 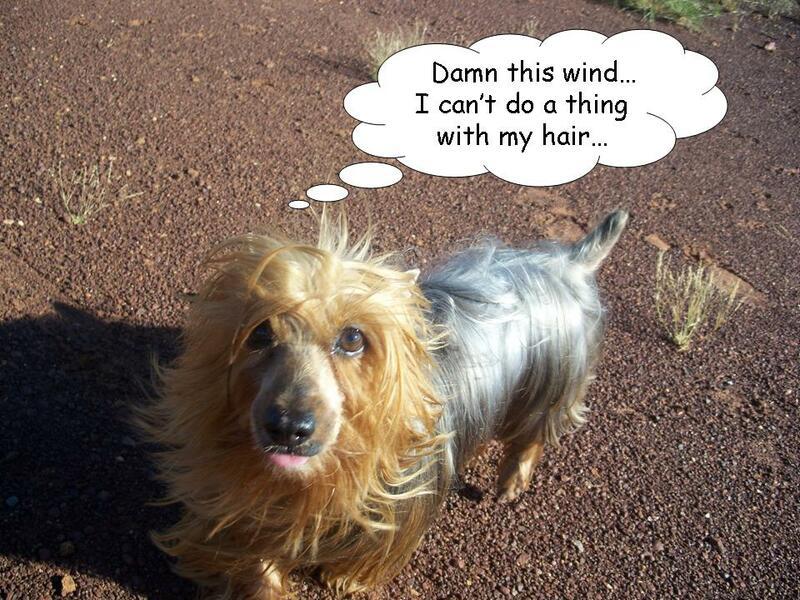 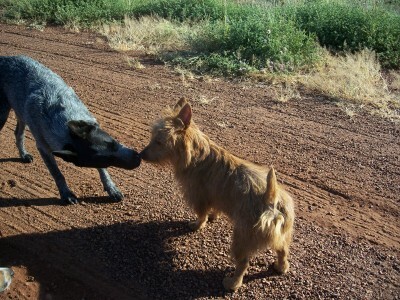 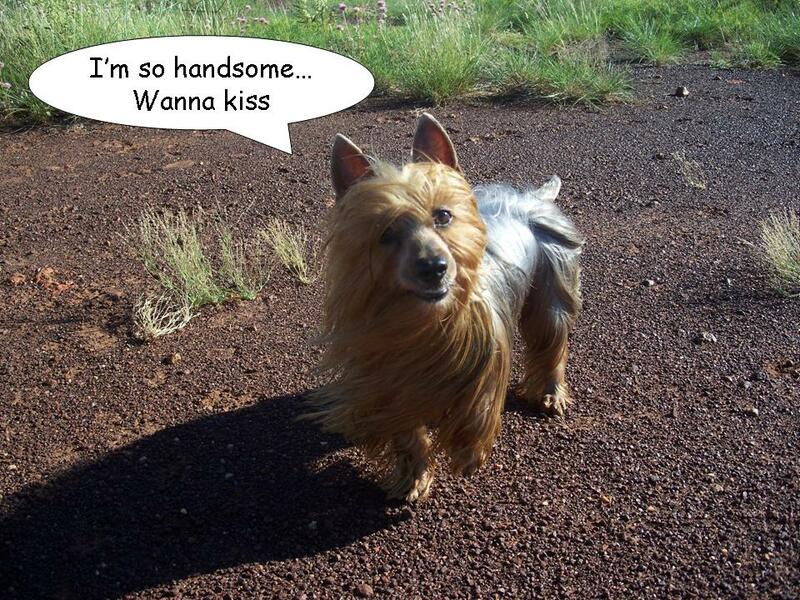 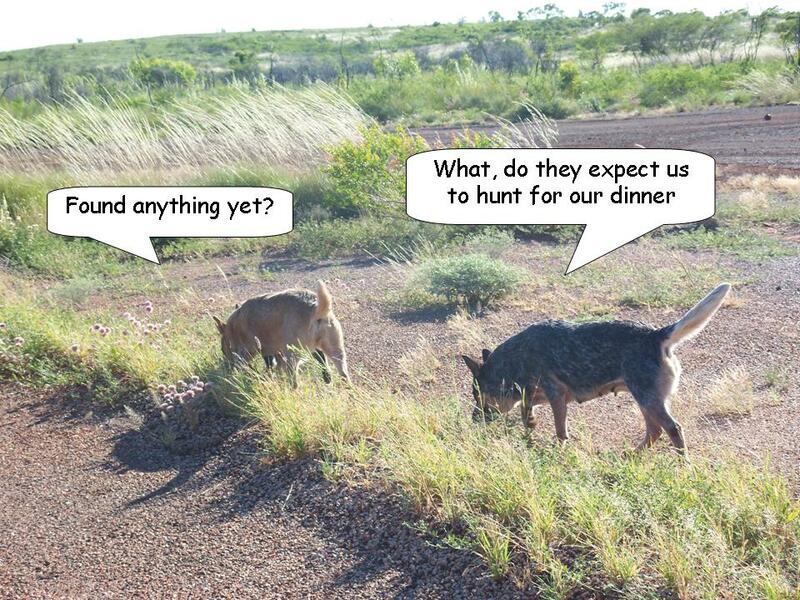 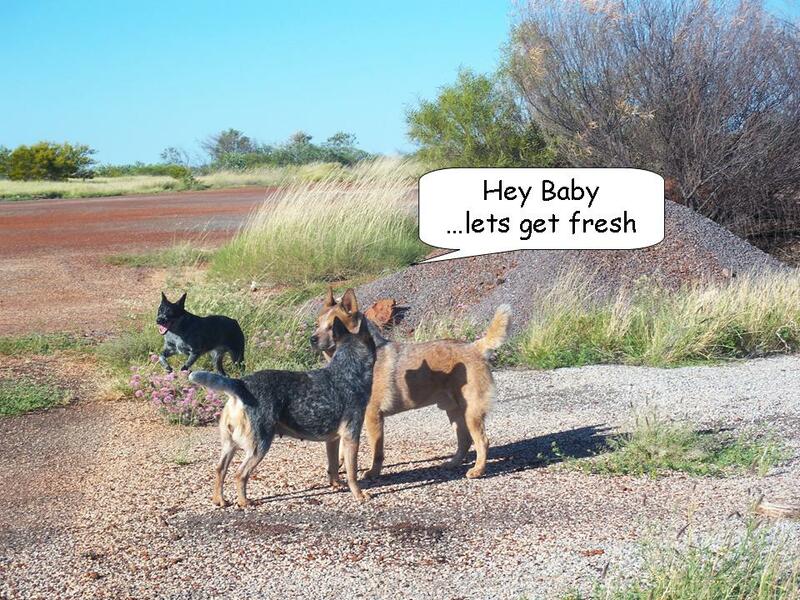 ...well OUR dogs are smart AUSTRALIAN breeds. 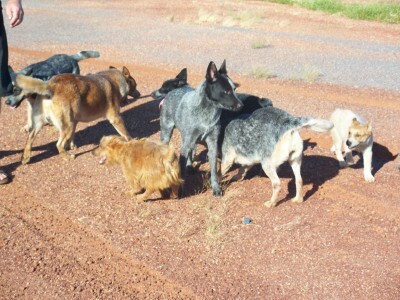 They all get on well together and are very loyal and obedient. 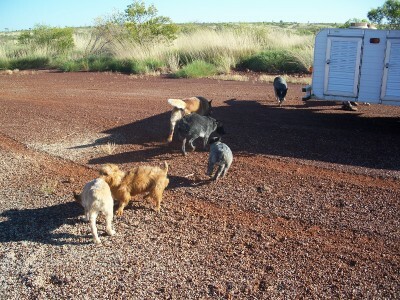 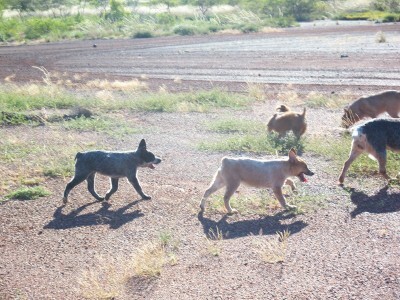 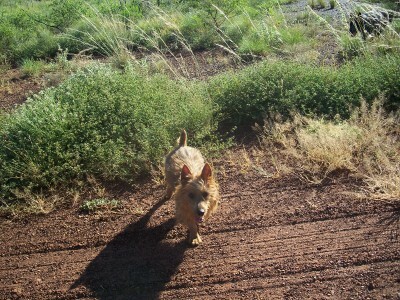 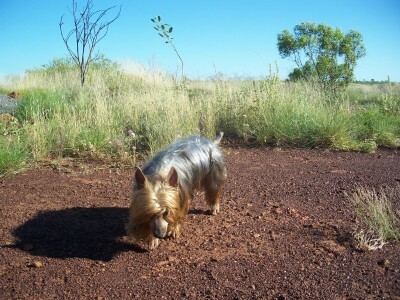 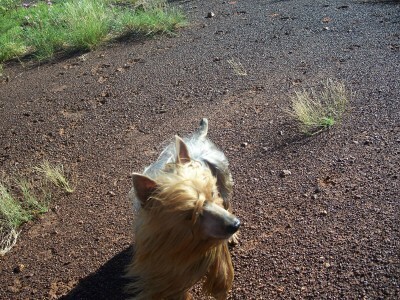 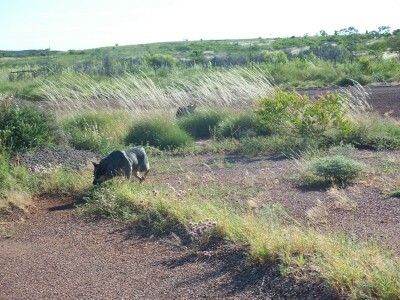 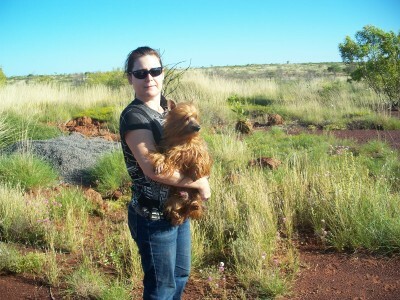 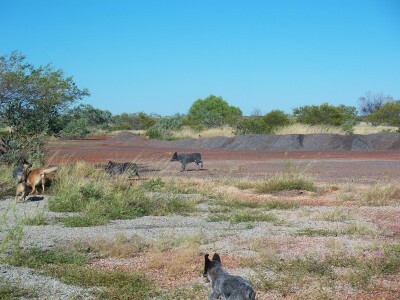 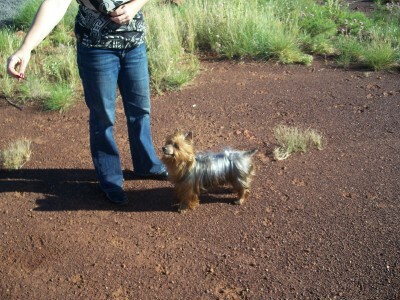 Here are some casual photos that we took on the roadside during our drive home from Alice Springs in May 2010.